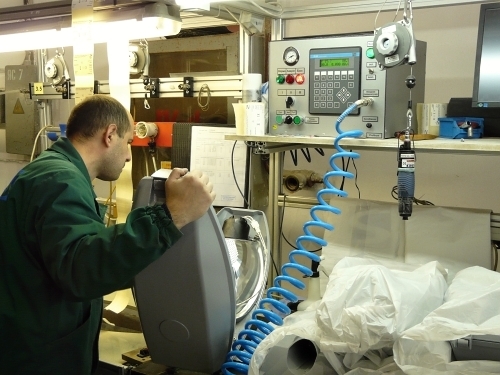 During 2014, our control system Tecomat Foxtrot was implemented in city Ternopol in Ukraine in city lamp manufacturing plant. One of the controlled proceses is testing workplace to check leaking of lamps. Testing device was manufactured according to technical documentation and requirements of company Shreder Group (Belgium). The device is placed in final part of manufacturing line of city lamp manufacturing plant. 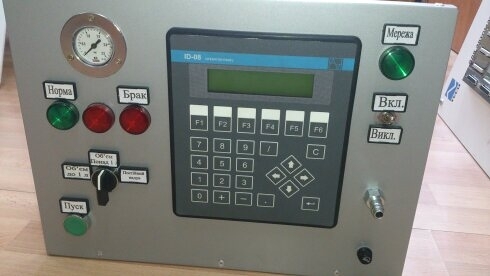 Tester is working on principle of reminder pressure measuring (in interval 20 Pa) in basic part of the lamp. In the case that pressure descends during 8 sec more than 10%, tester indicates defect of lamp body. This project has been implemented by company "CP Profikom“ in 2014.